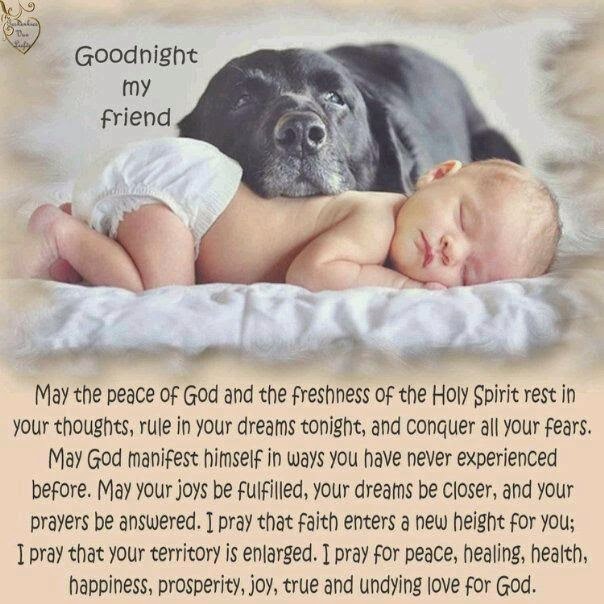 May the peace of God and the freshness of the Holy Spirit rest in your thoughts, rule in your dreams tonight, and conquer all your fears. May God manifest himself in ways you have never experienced before. May your joys be fulfilled, our dreams be closer, and your prayers be answered. I pray that your territory is enlarged. I pray for peace, healing, health, happiness, prosperity, joy, true and undying love for God.